I read Psalm 36 today and David mentions the love of God three times. Verse 5 says, “Your love, LORD, reaches to the heavens”. He mentions love in contrast to the wicked. David begins and ends this Psalm by talking about the wicked. The wicked do not fear God. They flatter themselves. The words of their mouths are deceitful. They plot evil and do not reject what is wrong. God loves those who trust in Him and pursue righteousness. I always talk about how God loves us (those who trust in Him) and wants us to be happy. This is readily apparent in Psalm 36. There are four results of God’s love that are listed. One is a river of Delights. David writes, “you give them drink from your river of delights.” I love that. God doesn’t just throw His followers a bone once in awhile, but has a river of delights for them. 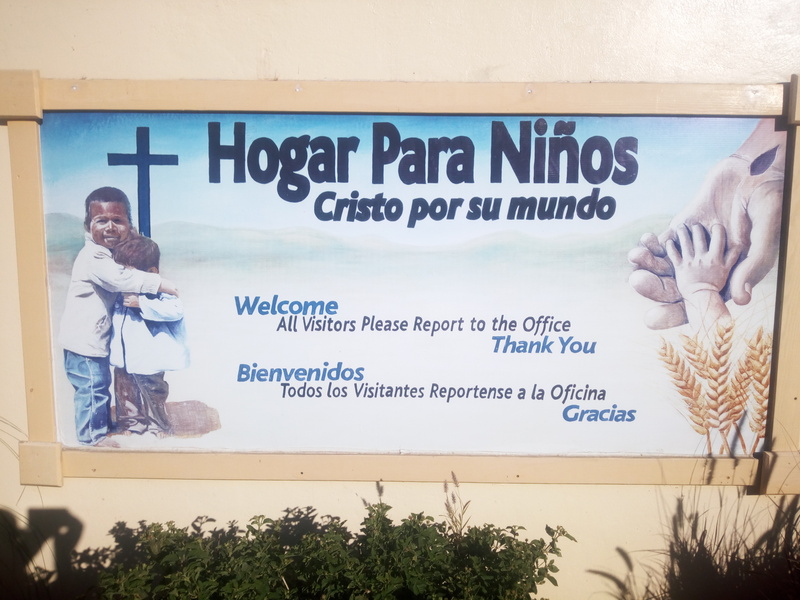 We sometimes sing a song here at the Home For Needy Children in Mexico, that says something to the effect that I don’t just want to put a toe in God’s river. I don’t just want to go knee deep in God’s river. I don’t just want to wade in up to my hips in God’s river. I want to swim in God’s river. One of the blessings of God’s love is that we get to swim in His River of Delights! One definition of delight is great pleasure; a cause or source of great pleasure. God wants His followers to enjoy great pleasure. Second, He is a fountain of Life! The wicked just exist in their misery, trying to make others miserable, but the righteous have Life and joy and vitality and Shalom which come from the never ceasing Fountain of life. Here at the Mission, we have a fountain in our courtyard. Every time I see it or hear the water splashing down, I think of the living water that Jesus talked about. I thank God that I don’t merely exist on this planet, but that I have Life that comes from the Fountain of Life. The third result of Gods love is that He gives us light that allows us to see the light. The wicked meander in darkness, looking for delights in all the wrong places. Those who cooperate with God and His Kingdom plan, are able to do so because He has shown them the light, opened the eyes of their Spirit and understanding. They embrace truth instead of lies, which enables them to grow in truth and righteousness. I think that is great that animals are included in this Psalm. God’s great love that reaches to the heavens is not just for the preservation of people, but also for animals. I grew up on a farm and at various times we had pigs, sheep, cows and rabbits, not to mention the dogs and cats that were running around. I enjoy the animals in God’s creation and thank God that he looks down from heaven and not only cares for the people, but for the animals. God loves us and wants us to be happy. He has made that abundantly clear. We are happy in Him when we fix our eyes on Jesus, the author and perfecter of our faith. When we set our hearts on things above, where Christ is, then we are filled with joy. We swim in the river of God’s delights. We drink deeply from the fountain of life. We live in light and not in darkness. We are preserved and protected, us and Fido and Spot and the animals we love. How great is the love of God! God serves up drinks, from His river of delights. He lays out a feast, from the abundance of His house. I occasionally teach a baseball elective at Oasis Elementary School here at the Children’s Home in Oaxaca, Mexico. I finished up a class last week and made out the grades. Before the elective begins, the principal, Abby, gives the teachers a form for the grades and what the kids are to be graded on. To get a good grade the students have to show responsibility and a good quality of work. They must cooperate, listen and pay attention. They must also have a good attitude. I think having a good attitude is the most important. I found an article in Spanish on the internet that I had my students read. It listed things that can help people have a good attitude; things like getting sufficient rest, dreaming, always remember that tomorrow is another day, be positive and developing friendships with people who have good attitudes. I thought these were all good ideas, but then it struck me that the most important thing one needs to have a good attitude, or at least that I need to have a good attitude, is God! God was not on the list! Why do I say God is necessary to have a good attitude? I’m glad you asked. Below are ten verses from the Bible that help me to develop a good attitude. They are from God’s Word and most are about our relationship with God. The LORD is good and his love endures forever. Psalm 100:5 God created you, me and the entire universe. He is powerful and good and he loves us. 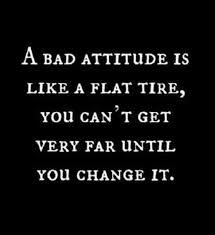 If we give that a long think and we can’t help but have a good attitude. 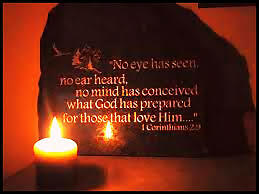 Give thanks to the LORD for he is good; His love endures forever. 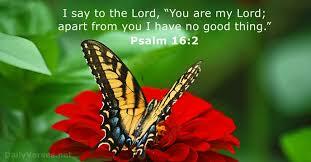 Psalm 106:1 A thankful heart is a happy heart. When we think of all good things God has given us and thank him for them, we will not only have a happy heart, but a happy attitude. Come let us sing for joy to the LORD. Psalm 95:1 When I’m feeling a bit frustrated or upset, I sing a song of praise to God and my frown is turned upside down. 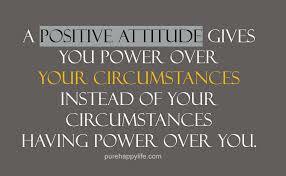 Try it for an effective attitude changer. Seek first God’s kingdom and his righteousness, and all these things will be given to you. Matthew 6:33 Having right priorities results in right attitudes. Putting God first in our lives puts us on the path of maintaining a good attitude. Do not worry about tomorrow. Matthew 6:34 Worrying about the future is a good attitude killer. Our heavenly Father has everything under control. I don’t know what the future holds, but I know who holds the future! Trust in the LORD with all your heart and lean not on your own understanding. Submit to him and he will direct your paths. Proverbs 3:5,6 God doesn’t ask us or expect us to understand why bad things happen to us sometimes, but he does want us to trust him in the tough times. Knowing that he is walking alongside us goes a long way towards a good attitude. Blessed is the one … whose delight is in the law of the LORD and who meditates on his law day and night. Psalm 1:1-2 The word “blessed” is often translated as happy. Meditating as much as possible on God’s Word will fill us with the Truth and lead to a bright outlook and happy attitude. Do nothing out of selfish ambition or vain conceit. 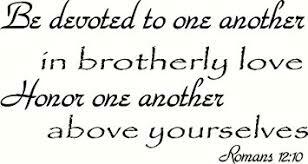 In humility value others above yourselves, not looking to your own interests but each of you to the interests of others. Philippians 2:3,4 When we are feeling down, depressed and blue, nothing helps improve the attitude than helping others, especially those who may be more blue than you. All things work together for good to those who love God and are called according to his purpose. Romans 8:28 No matter what happens to turn our attitudes south, if we remember and focus on our loving God and that he promises to take our sour lemon experiences and somehow, someway, make lemonade out of them and that results in a sweet attitude. Our present sufferings are not worth comparing to the glory that will be revealed in us. Romans 8:18 We all suffer at some point and it’s not conducive to having a super attitude, but thinking of the Glory of heaven and one day being in the immediate presence of our Savior who will wipe away every tear and heal every hurt, can change our outlook and our attitudes. These verses have helped adjust my attitude through the years and I hope they help you have a happy, healthy attitude. Get an A+ in the grade book of Life! What comes to mind when you think about the Kingdom of God and the Gospel of God? They are connected. The Gospel is the Good News about the Kingdom of God. About the King. We constantly need to remember who is the King of the kingdom. 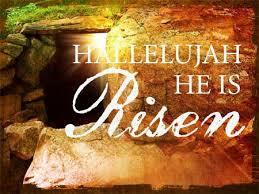 I think the Good News about the Kingdom is that the King is also our Father! 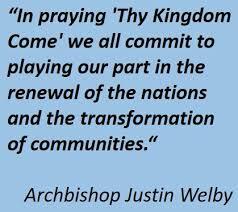 Jesus taught us to pray, “Our Father in heaven … your kingdom come, on earth as it is in heaven.” (Matthew 6:9-10). I think that news blew the Jews away. We read a lot about kings in the O.T. Some good, some bad. 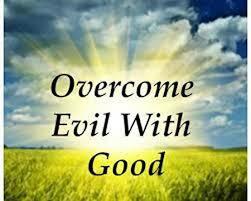 Some who strove to be righteous and others who were very evil. Some powerful, some weak. But none of them were portrayed as a loving Father. In Jesus sermon on the mount, which is all about the Kingdom and Gospel, he uses the word Father as a title for God more times than it is used as a title for God in the whole O.T. God as Father was almost a totally new idea for the Jews of that era. God as King – of course. God as Judge – they knew that God. God as Creator – Right on. But God as Father – What a concept! Why are Gospel and Kingdom so important? Why is knowing God as a loving, compassionate Father something we need to embrace. Because God wants us to be happy. Because God wants Shalom. I have been thinking and reading a lot about Shalom lately. That word is generally translated as peace. It is a Hebrew word that is used throughout the Old Testament and it means so much more than what we think of when we think of peace. It is the glad result of Kingdom and Gospel. Shalom is the goal of God for everyone. Shalom is happy wholeness. Shalom is harmony and prosperity. Shalom is all encompassing. Shalom is living in peace and right relationship with God, ourselves, our family and community. Shalom is whole, right relationships between rich and poor, powerful and weak, black and white, Jew and Gentile. Alas, we see far too little Shalom in the world today. Why? Because human beings in and of themselves do not have the power to live in and practice Shalom. Power is defined as the ability to do something. We have no a ability in ourselves to live in right relationship with God! And as for loving our neighbor – We despise our neighbor! I think this is why Jesus and Paul talk so much about the Power of God. There is no Shalom without that power. Shalom is the Good News that that power is available. When Jesus said the Kingdom is near, I think he was saying that Shalom is available to all who come to the loving, compassionate Father in an attitude of weakness and realization that without the Fathers power, we will live sad, miserable lives full of conflict and strife. Jesus is proclaiming Shalom and telling the people the Good News that God the Father is inviting people into the Kingdom of Shalom! 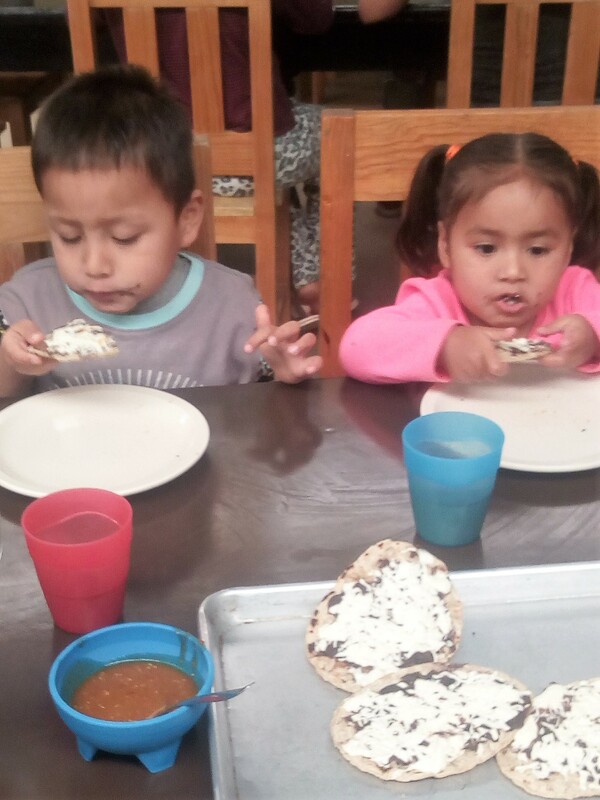 It is kind of like what we do here at the Home For Needy Children in Oaxaca, Mexico. We take in poor children who are broken and by the power of God and our love, they are made whole. Children come who are hurt and angry, confused and abused, betrayed and shamed. Here they experience Shalom. They grow into complete, happy people, full of smiles and laughter. It doesn’t happen overnight. It can be a long process. But when the children hear about the love of God and experience the compassion of their Heavenly Father on a daily basis, and depend on His power for their wholeness, then they live in peace and contentment. They live in Shalom. The Kingdom of God on earth is Already – But not yet. It already exists. It started with the new born King whose little body was laid in a wooden manger in Bethlehem and whose adult body was crucified on a wooden cross outside Jerusalem. It started out as the smallest of seeds, starting to grow over 2000 years ago, and is still growing, just like Jesus said in Matthew 13:31-32. It has not yet come to completion. When George Bush was President he promoted a 1000 Points of Light program. I like to think of the Kingdom of God on earth as a Million Points of Light program. Everywhere that Christians gather together to glorify God and love Him and love their neighbors is a Kingdom Point of Light. 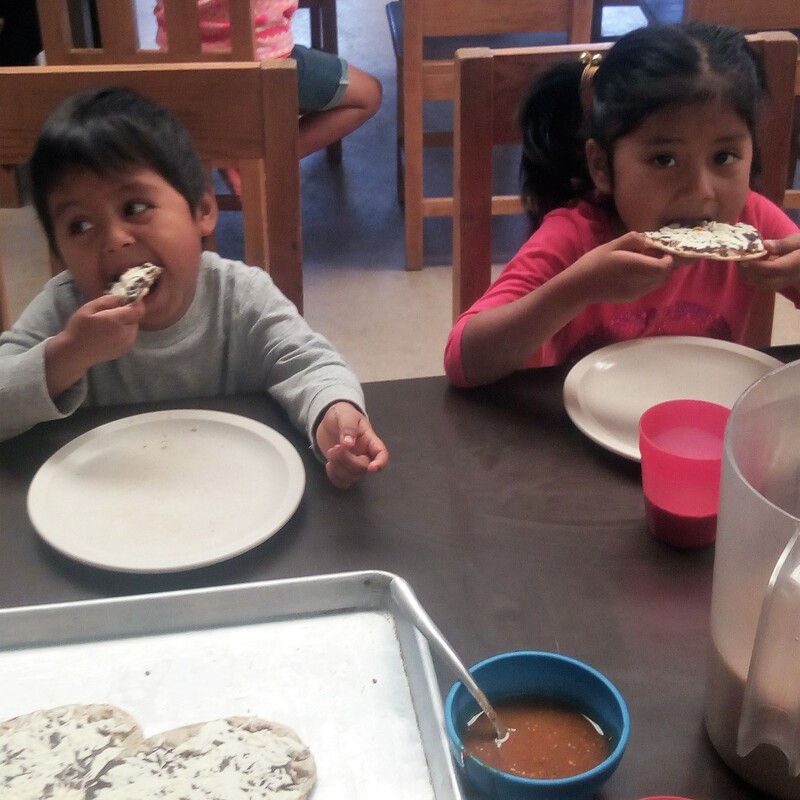 I live at a Home for Needy Children in Oaxaca, Mexico. It is one of those Points of Light. We take in children who are poor, abused, neglected and abandoned. They are hurt,sad, angry and confused when they come here. Here they experience the love of God and of Christians who care for them. Here they are transformed. We give them a safe place to live with plenty of nutritious food to eat and clean water to drink. They receive a good education and spiritual direction. Our goal is not just to make them into good people, but to make them into faithful disciples who love God and want to cooperate with Him in growing the Kingdom. My wife and daughters and I spent Christmas day with a half dozen of these children, all under the age of 6. They are new comers to our little Kingdom Point of Light. Most of them are brothers and sisters who had been separated and put into different children’s homes in Oaxaca. 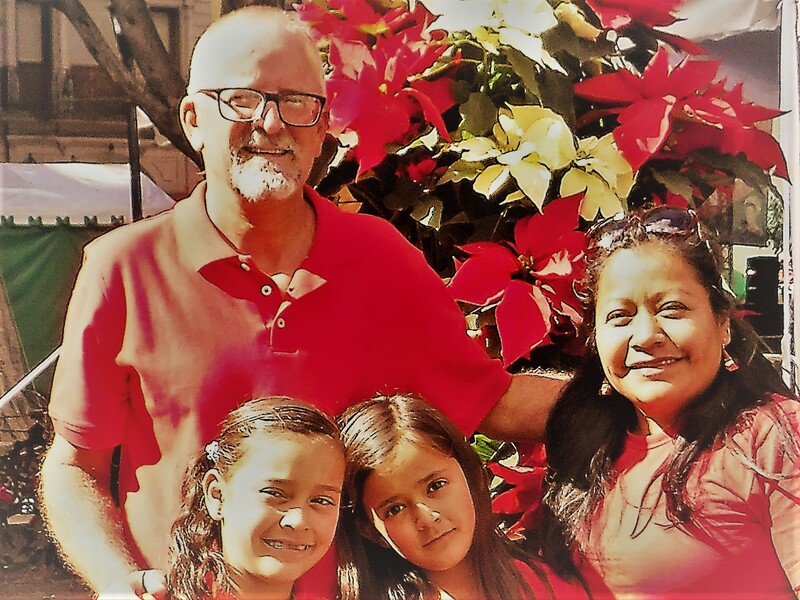 Now they are reunited, happy and healthy, living in a loving Christian community that meets their every need. 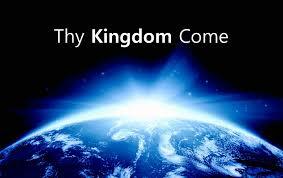 God’s Kingdom is coming everyday in many different ways all over the world. In 2018 He may choose to bring His Kingdom to fulfillment; to completion. Then He will be the one to wipe away the children’s tears and there will be no more need for children’s homes. If that doesn’t happen in the new year, then God’s Kingdom will continue to come, on earth as it is in heaven. Little light by little light. Followers of Jesus will continue to spread the joy and peace of God and people all over the world will be coming into relationship with God, glorifying Him and enjoying Him forever. He is the One who truly puts the Happy in the New Year! Last time I wrote about bread and happiness and the Lord’s Prayer. This time I want to continue thinking about the Bible, Bread and Happiness. Bread is big in the Bible. Many of our favorite Bible stories include bread. Jesus said, “I am the bread of life. 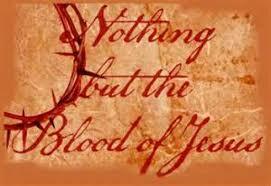 Whoever comes to me will never go hungry, and whoever believes in me will never be thirsty” (John 6:35). That’s big. Below I have listed some verses from the Bible about bread. Do you remember the stories that go with them? Then Melchizedek king of Salem brought out bread and wine. He was priest of God Most High (Genesis 14:18). Abraham hurried into the tent to Sarah. “Quick,” he said, “get the finest flour and knead it and bake some bread” (Genesis 18:6).